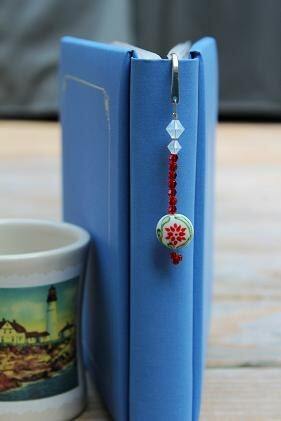 This is a pretty, genuine Swarovski Crystal bicone beaded bookmark, that drops into a hand painted lampworked flat bead. It would look wonderful hanging out of your favorite book! The crystals reflect the light like no other - making it such a practical and beautiful gift. The entire length of this bookmark is 5 inches. 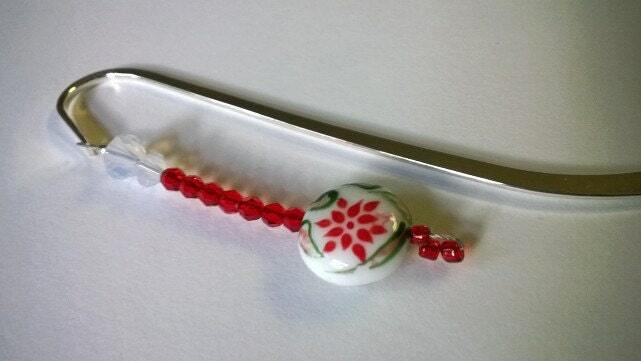 The lampwork painted flat bead measures approximately 17x8mm. 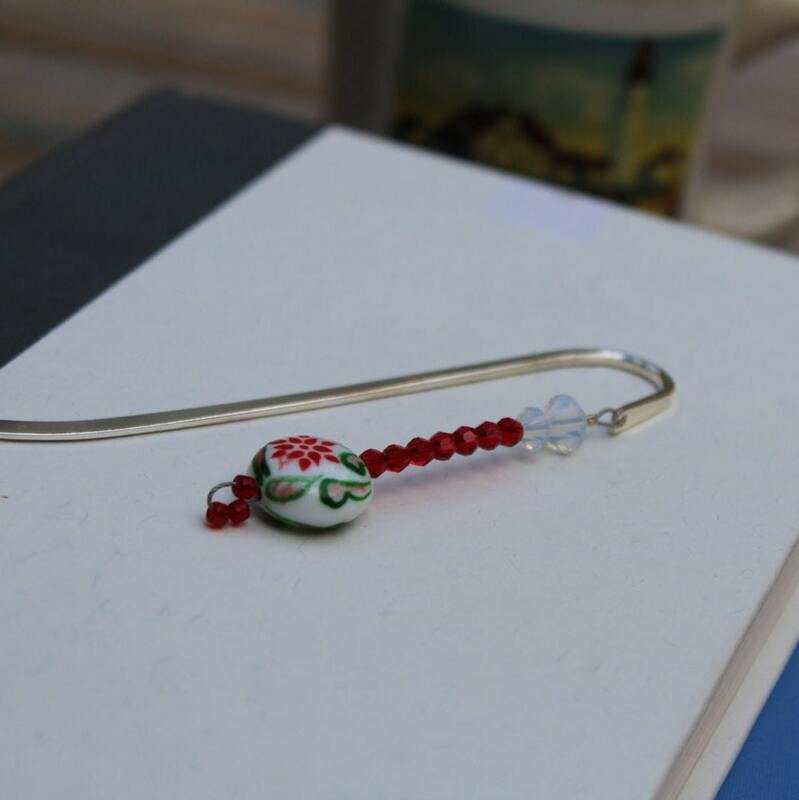 The bookmark is sterling silver plated. The price shown includes a gift box. Reduced shipping prices apply when you purchase more than one item from my shop. You can "add to cart" to see shipping costs.